Home Hot Deals Acronis True Image 2014 Discount Coupon, buy 1 license and get a second one for Free! 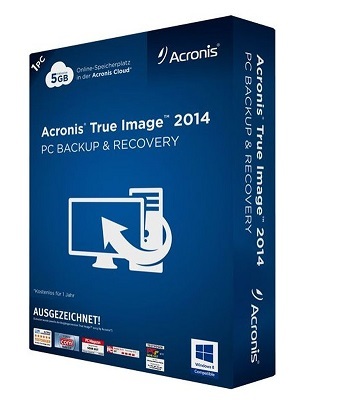 Acronis True Image 2014 Discount Coupon, buy 1 license and get a second one for Free! 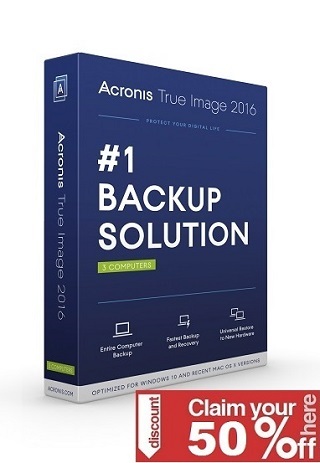 Acronis True Image 2014 Discount Coupon: Award-winning personal PC backup and disk imaging software – now with 5GB of cloud storage included. Acronis True Image 2014 gives you reliable image backup and recovery of your entire system, including email, music, photos, videos, documents, personal settings, and all applications. You can easily choose where and how to backup – locally, or online, and including your entire system or just specific files and folders can be quickly and easily recovered anytime. And you can recover precisely what you need, quickly and effortlessly, anytime, anywhere. Acronis True Image 2014 provides key improvements and introduces important new features to help you protect you data. While more powerful and feature-rich than ever, this innovative, new version also feels perfectly familiar with easy-to-use controls and trusted, patented technologies. Free cloud storage True Image 2014 now includes 5GB of secure cloud storage. This lets you keep copies of your favorite photos and files online for double protection, where you can access them anytime, anywhere —even from your mobile devices. It also lets you synch and share your files with ease. Want more space? You can always expand it to 250GB. Disk imaging goes online Backup and restore your entire system—not just files or folders—to the cloud. The exact configuration of your PC, including your operating system, settings, and applications, can now be saved to Acronis cloud storage (space permitting), and then restored in just one click. Incremental backup to cloud storage When you back up to cloud storage there is no need to run a full-system backup every time. Incremental and differential backups are special modes that only capture changes since your last backup to save storage space and improve speed. Restore your complete PC or just what you need With True Image 2014 you can restore an entire disk image from your cloud storage space to recover your entire PC over the Internet, or simply choose a file or folder you need from within a saved disk image and restore it in quickly anytime, anywhere. Windows 8 is great True Image 2014 is fully certified for Windows 8 so it’s ready to go on all the latest PCs. In fact, True Image 2014 works perfectly on all Windows operating systems from Windows XP onward. Offer Valid until Feb 23, 2014, Hurry Up! Got an old version? Upgrade Now Below!